Likud MK Avi Dichter urges leftists to calm down over dispute with the Americans on missile defense aid. 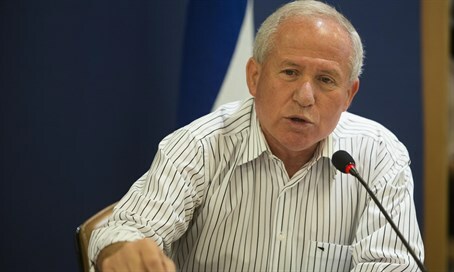 MK Avi Dichter (Likud), chairman of the Knesset’s Foreign Affairs and Defense Committee, on Wednesday evening urged MKs from the left to “calm down” following reports that the Obama administration was opposed to a Congressional proposal to increase funding for Israeli missile defense in 2017. “After the White House approved $145 million in aid to the Israeli missile program and did not approve the additional $455 million recommended by Congress, we heard this morning left-wing Knesset members who became hysterical and called for the immediate signing of a new aid agreement with the United States,” he said. “To those elected officials who become hysterical over every dispute, and turn it into a political issue, I say simply: When you lead a nation you need to have patience and forbearance. It took Moses 40 years, and you find disputes of 40 days too difficult to handle,” said Dichter. Earlier on Wednesday, Prime Minister Binyamin Netanyahu slammed what he said were "misleading" reports over alleged cuts in American military aid to Israel, accusing those circulating the reports of attempting to sow panic. "In the wake of numerous misleading reports, the Prime Minister's bureau would like to clarify there has been no cut in American assistance," a statement from the Prime Minister's Office read. White House officials on Wednesday night played down the reports of the White House’s objection to Congress’ proposal, explaining the administration believes any additional aid to Israel should be part of the 10-year military aid agreement the two countries are now negotiating, and not in the 2017 defense budget, as Congress proposed.